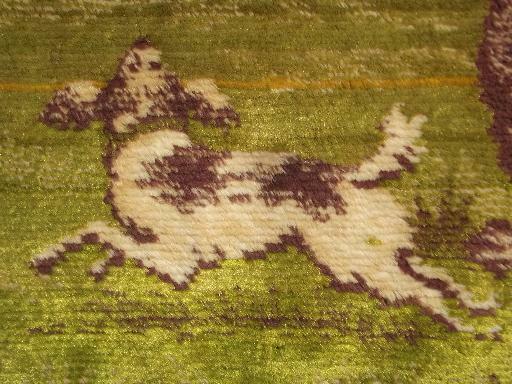 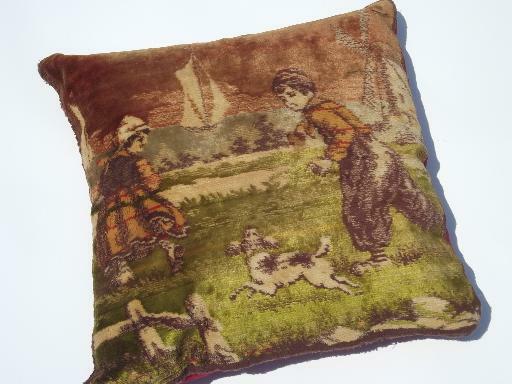 Romantic old cotton plush tapestry scatter pillow set, probably Flemish (it's a Flanders sort of scene of boy with his dog, and his small sister). 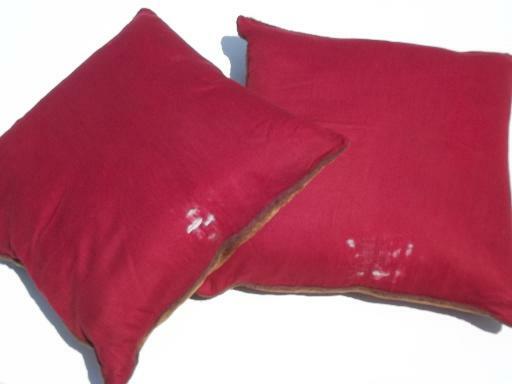 The pillow tops look very good, but the original faded cotton backings are very worn and faded, and shredding. 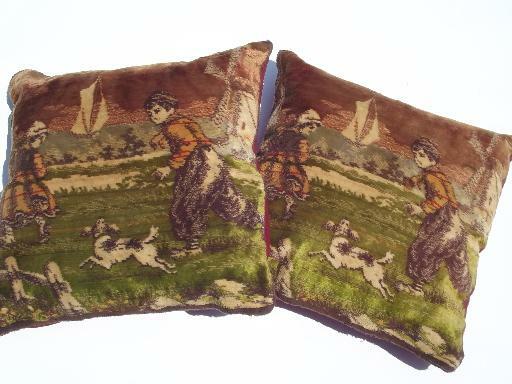 Both pillows measure 16" x 16".